1. Make sure you have the IOTile Companion App downloaded on your smart phone. 2. 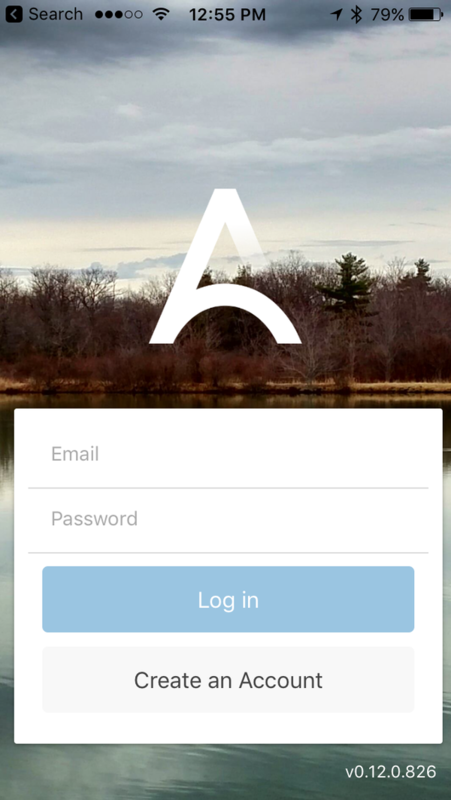 Login to the mobile app using your email and password. Make sure that the device you want to claim is powered either by battery or by power plug. You will need to enable Bluetooth on your mobile phone or tablet to complete the setup. Make sure you are within 50 feet of your IOTile device as you scan for it. If there are multiple choices, match your selection with the number on the side of the device you want to set up. Note that all IOTile Devices including PODs and Gateways can be claimed in this way. If selecting an existing project name, click Claim after selection. Tap in the text to change the default name. You may wish to specify whether this is a sensor POD device or a Gateway for easier navigation later. You will have to permit the IOTile app to use location services to use this feature. Tap on “Drop Pin” to select your current location. Drag the pin from your current location to select a different location. Gateways and general IOTile PODs will stop the claiming process here and move you to the project. Some devices, like the Water Meter POD, include additional input-output settings. The Water Meter POD IO settings are shown below. Enter label for IO 1, and then later for IO 2. Enter the settings for IO 1 and IO 2 based on your specific water meter. Click on Next to move to the following action.